Jerusalem - The funeral for IDF soldier Master Sergeant Yair Ashkenazy, who was killed in Gaza Thursday was held today at the military cemetery in Rehovot where he was laid to rest. 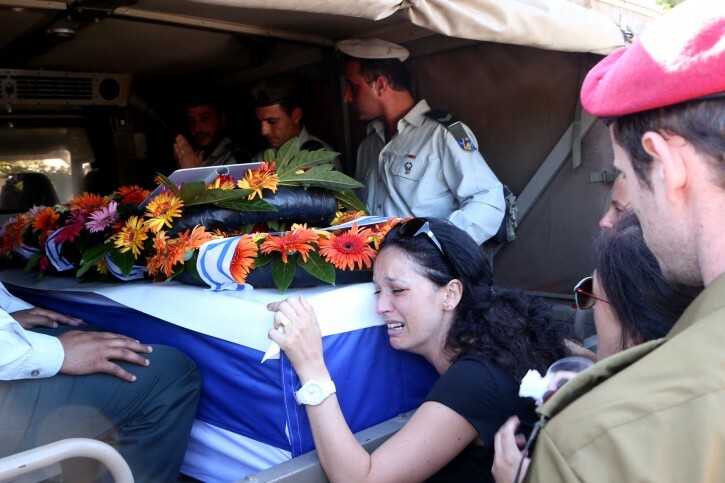 Ashkenazy 36 years old from Rehovot, was a combatant in the reserve brigade of the IDF Officer Cadet. He was killed during operational activity in the northern Gaza. He leaves behind him a wife and three children.